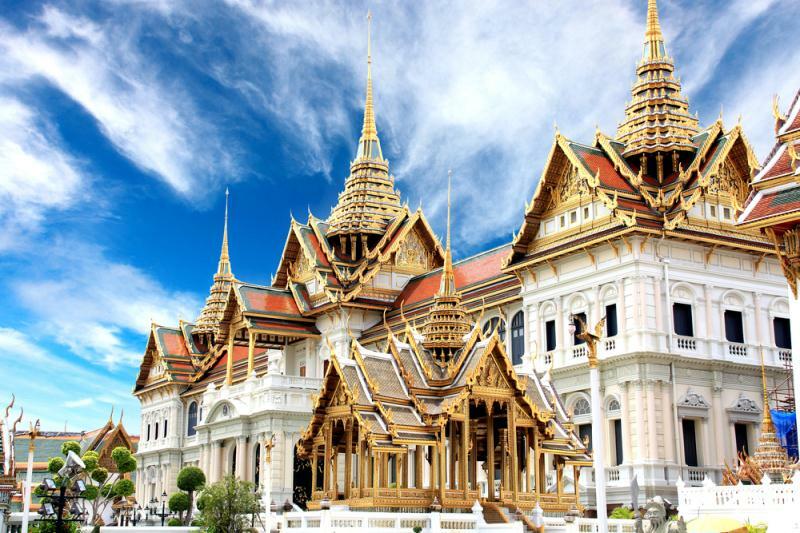 This tour gives you the perfect combination of what Bangkok has to offer. The private meditation instruction included with this tour would be worth the price alone! After being met at the pier you will begin a 2-hour journey into Thailand's capital city and largest urban area. What started as small trading post near the mouth of the Chao Phraya River has grown into a booming city with a population of just over 8 million residents. Your first stop at the Grand Palace will bring you to the heart of the city and destination that represented Bangkok's first year as the capital city. Built in 1782 the Palace still plays host to several royal ceremonies every year and housed the Siam king up until 1925. Each successive reign added their unique touch to the overall structure which has created a beautiful asymmetry throughout the grounds. The What Phra Kaew or Temple of the Emerald Buddha is considered the most sacred Buddhist Temple in Thailand and sits in the middle of the Grand Palace. The Emerald Buddha arrived in Bangkok at the start of the Chakri Dynasty and had a temple built in its honor upon arrival. The power of the Buddha is said to give legitmacy to the king and protect the nation. In its early days the Buddha was paraded around the streets as a way to protect the countryside from any current or future calamities. This symbol with such a strong history is something you won't be able to replicate on any other trip! Next we'll visit Buddhist Temple, Wat Mahathat, for a vipassana meditation instruction. Vipassana, which means to see things as they really are, is one the most ancient techniques of meditation. Vipassana is a way of self-transformation through self-observation. It focuses on the deep interconnection between mind and body. Serenity at its finest. After a break for lunch at a local restaurant we'll continue on for a klong (canal) tour which is a staple of Thai life. This form of transportation is a great change of pace from the usual transportation in a densely populated city. You will certainly see why some travelers are calling Bangkok the "Venice of the east." On your return to the Laem Chabang pier you will have plenty of time to digest your day's travel in Thailand's politcal, social and economic headquarters! - Donations are encouraged for the meditation experience at Wat Mahathat. - Keep in mind it's about a 2 hour drive into Bangkok. - If time permits you will vist Wat Pho, a Buddhist temple in the Phra Nakhon district. - Food, Beverages and Gratuities not included. - You will be expected to remove your shoes at the temples. If you are averse to this, we suggest you bring socks or surgical footies. - You will not be allowed to enter temples unless you are well covered. Shorts, sleeveless shirts, spaghetti straps, capri pants are not allowed. You will be asked to put on a sarong if your dress is unacceptable. We suggest you bring a shawl to cover those areas that need attention. - GRATUITIES / TIPS: Please consider your guide and/or driver (if applicable) if you are pleased with your day. A gratuity is a wonderful way to show your appreciation. - ShoreTrips is not responsible for items left behind.